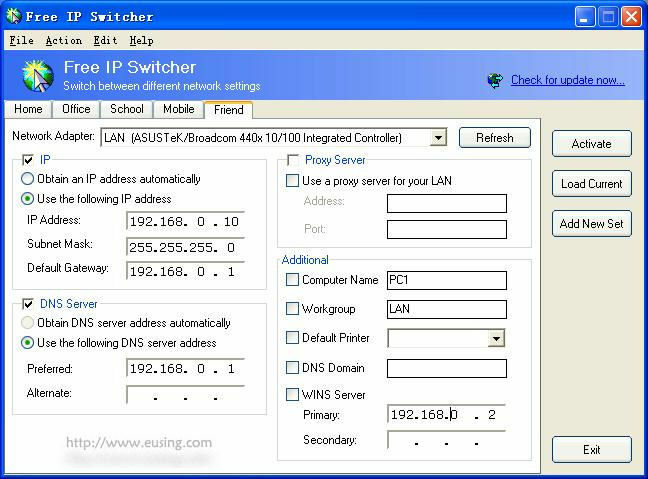 Eusing Free IP Switcher lets you switch between pre-defined network settings easily without having to restart. If you access multiple networks with your computer, it can be pain having to re-configure network settings to comply with each one. This tool allows you to pre-set up to five different configurations and easily switch between them.